In the early 90s a good friend put me onto an article by John Garbaro and John Kotter called Manage Your Boss. 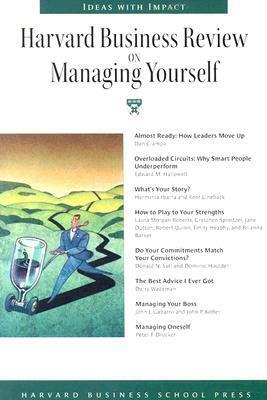 It was first published in the Harvard Business Review in 1980 and reproduced 25 years later as a classic in a compilation volume called Harvard Business Review on Managing Yourself. When I first read this article, I was both leading my own team in student ministry and reporting to a senior pastor, as his associate, in church ministry. I found it so helpful in alerting me to a number of issues that can dramatically impact working relationships. So much so, that over the next two decades I would often give this article to new staff and trainees when they joined our team. If they were going to have to work with me, then they may as well have some guidance in how to make it work for them. Now that I’m an associate pastor again, I thought I should read over the article again to brush up on my skills in relating well to my boss! If you have a tendency to cynicism, you may be tempted to think this article will be spin for political manoeuvring or sucking up. It’s not. It’s about consciously working with your superior to obtain the best possible results for your boss, yourself and the organisation. It’s really about ensuring people and teams work well together, and accepting your role in making this happen. I’m sure this applies to any organisation, but I know that it’s critical for church leadership teams. Too many breakdowns of relationship get blamed on personality conflicts. It’s an easy diagnosis that seems to absolve everybody of responsibility or blame. However, I suspect, this is often a very small part of the picture. Yes, personalities will conflict, but why haven’t they been able to work through the differences? That’s the real question. 1. You have a good understanding of the other person and yourself, especially regarding strengths, weaknesses, work styles, and needs. This has many practical implications. For example, do you know your boss’s preferred method of communication? Does he or she prefer to receive written reports or have verbal discussions? Do they like to get regular updates on your work or progress, or are they happy for occasional summaries? When they delegate work to you, do you know what they mean by delegation? Is it now hands off by them, or are they expecting you to check with them before making key decisions? Do they like to communicate early on issues and bang them around out loud, or do they tend only to communicate once they have resolved the way forward? Being able to answer these and similar questions will advance your working relationships no end. It will also head off potential conflicts and breakdowns. Developing effective working relationships also requires you to have a good understanding of your own preferences, your needs, strengths, weaknesses, idiosyncrasies, communication and work styles. What can you do that will will improve your working relationship with the person you report to? This can also help you to avoid counterdependent and overdependent behaviours. Clarity of expectations is crucial to good working relationships. Subordinates who passively assume they know their boss’s expectations are in for trouble. It’s their responsibility to find them out. Ask, clarify, explore, listen, feed back. The time given to getting on the same page with your boss will certainly be worth it. And don’t assume your boss is disinterested or doesn’t need to know what you’re doing. What you’re doing is part of a bigger picture and your boss needs to be able to hold the various parts together. They likely need to know more about you and your work than you realise. It’s important to take the initiative to communicate what you are doing, if for know other reason than to breed trust and enable your boss to defend you to others who may not be sure. And be honest! Honesty is crucial in team work. If your boss cant believe you or trust you, then ultimately they won’t want you. Managing your boss is a brief, practical and insightful article to help stimulate good team work and working relationships. I commend it to pastors, associate pastors, ministry trainees, leaders and others. It will help in your church, as well as your work place. I prefer to be over-informed than under-informed. The more I understand and trust what people are doing, the more freedom I offer. I find passive resistance infuriating. Regular updates from my co-workers builds my trust in them. Triangulating relationships in conflict increases the damage. If people take their concerns about me to others rather than me it often makes things worse. I believe that people should always reply promptly to emails, even if it is only to say they have received it and will deal with it asap. Being late for meetings steals time from others who need to be there. Recidivist lateness is selfish and inconsiderate. My task now as an associate pastor is to apply things from the other direction. How can I best relate with my boss and my new peers? It’s important we build good relationships based on trust and mutual dependence. We need to be able to express conflict in healthy ways. We need to learn to hold one another accountable without appearing to be judgmental. We need to be committed to the common goals of our organisation (church) and thus measure and evaluate our results. If you report to a superior in your workplace, I recommend you read this article. If you lead others in your team, read the article and pass it around. If you lead a church or serve as member of a pastoral team, you will benefit from following much of the wisdom in this article. You can find the article in the compilation book (and it contains other useful articles) or you can purchase one or more copies of the article on the HBR website. I think I’ve still got (or only a few years ago got rid of) the copy of this article that I must have got from you (not sure if it was as part of traineeship or marriage counselling). Thanks once again for this excelleny resource Dave. I remember you giving this to me over a decade ago! I have used it & distributed it to staff and colleagues regularly. It has certainly helped me in being explicit rather than implicit regarding my expectations of my reporting lines. It has also been instrumental for me to lock in synergistically with my superiors.